U.S. Army, U.S. Marine Corps, and U.S. Air Force insignia of the rank of lieutenant colonel. Style and method of wear may vary between the services. U.S. Army insignia of the rank of Lieutenant colonel. Style and method of wear may vary between the services. U.S. Marine Corps insignia of the rank of Lieutenant colonel. Style and method of wear may vary between the services. U.S. Air Force insignia of the rank of Lieutenant colonel. Style and method of wear may vary between the services. In the United States Army, U.S. Marine Corps, and U.S. Air Force, a lieutenant colonel is a field grade military officer rank just above the rank of major and just below the rank of colonel. It is equivalent to the naval rank of commander in the other uniformed services. The pay grade for the rank of lieutenant colonel is O-5. 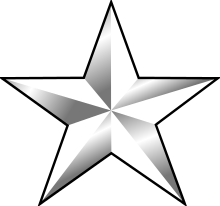 The insignia for the rank consists of a silver oak leaf, with slight stylized differences between the Army/Air Force version and the Navy/Marine Corps version. Promotion to lieutenant colonel is governed by Department of Defense policies derived from the Defense Officer Personnel Management Act of 1980. DOPMA guidelines suggest 70% of majors should be promoted to lieutenant colonel after serving a minimum of three years at their present rank and after attaining 15–17 years of cumulative commissioned service. While written as "Lt. Colonel" in orders and signature blocks, as a courtesy, lieutenant colonels are addressed simply as "colonel" verbally and in the salutation of correspondence. The U.S. Army uses the three letter abbreviation "LTC." The United States Marine Corps and U.S. Air Force use the abbreviations "LtCol" and "Lt Col" (note the space) respectively. 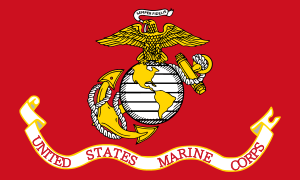 In the United States Army and the United States Marine Corps (USMC), a lieutenant colonel typically commands a battalion/squadron-sized unit (300 to 1,200 Soldiers/Marines), with a major as second-in-command and a command sergeant major/sergeant major (USMC) as principal NCO or senior enlisted adviser (SEA). A lieutenant colonel may also serve as a brigade/brigade combat team, regiment/regimental combat team, Marine Aviation Group (MAG), Marine Expeditionary Unit (MEU), or battalion task force executive officer. Lieutenant colonels routinely serve as principal staff officers, under a colonel as chief of staff, on a general staff ("G" staff) of a division, Marine Expeditionary Brigade (MEB), Marine Aircraft Wing (MAW), or Marine Logistics Group (MLG). 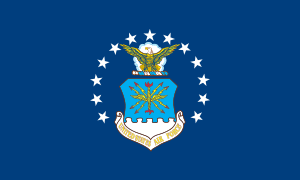 These staff positions may include: G-1 (administration and personnel), G-2 (intelligence), G-3 (operations), G-4 (logistics), G-5 (civil/military affairs), or G-6 (computers and communications). Usage of "The G-n" may refer to either a specific staff section or the staff officer leading a section. Lieutenant colonels may also be junior staff at a variety of higher echelons. In the United States Air Force, a lieutenant colonel is generally a squadron commander in the operations group, mission support and maintenance groups, or a squadron commander or division chief in a medical group. Lieutenant colonels may also serve on general staffs and may be the heads of some wing staff departments. In US Army and Air Force ROTC detachments, the commanding officer is typically a Lieutenant Colonel, along with several Majors, Captains, and Non-commissioned Officers serving as assistants. However, some detachments are commanded by full Colonels. The rank of Lieutenant Colonel is also used by many large American police departments for officers in senior administrative positions. The rank is not always called "lieutenant colonel," and in many cases - particularly with municipal police agencies - an alternate term such as "Assistant Chief" or "Commander" is used, and only the insignia is retained. In some organizations, however, especially state police agencies, both the title and insignia are used. Occasionally, the rank is used in conjunction with, rather than instead of, an official title. For example, in the Texas Department of Public Safety, the head of the agency's patrol division is titled "Chief of the Highway Patrol", but holds the rank of a lieutenant colonel: this figure is thus referred to as "Lieutenant Colonel," not "Chief". George Peppard famously played Lt. Colonel John "Hannibal" Smith on The A-Team. Although he was usually referred to as a Colonel, his rank was clarified in many episodes as Lt. Colonel. ↑ "Preliminary-cloth.indd" (PDF). Retrieved 27 April 2012. ↑ Jack (21 May 2009). "AP Style Book". Apstylebook.blogspot.com. Retrieved 27 April 2012. ↑ "The Continental Army". U.S. Army Center of Military History (p. 13). 1 May 1982. Retrieved 3 July 2016. ↑ "History of the lieutenant colonel rank". Usmilitary.about.com. 9 April 2012. Retrieved 27 April 2012. ↑ "The Continental Army". U.S. Army Center of Military History (p. 13 ff.). 1 May 1982. Retrieved 3 July 2016. ↑ "The Continental Army". U.S. Army Center of Military History (p. 48). 1 May 1982. Retrieved 3 July 2016. ↑ "The Continental Army". 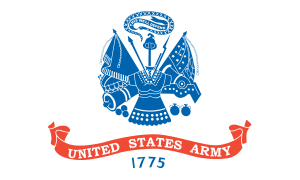 U.S. Army Center of Military History (pp. 127-128 ff.). 1 May 1982. Retrieved 3 July 2016. ↑ "The Continental Army (pp. 128 & 145)". U.S. Army Center of Military History. 1 May 1982. Retrieved 3 July 2016. ↑ "Lieutenant-Colonel And Brevet Major-General George A. Custer, U.S.A". All-biographies.com. Retrieved 27 April 2012. ↑ "Brevet Rank In The Civil War". Civilwarhome.com. Retrieved 27 April 2012.